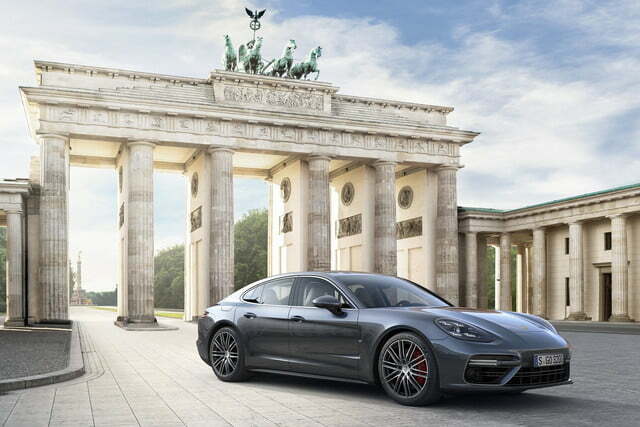 In June, Porsche put an end to weeks of teasing by revealing the all-new, second-generation Panamera. 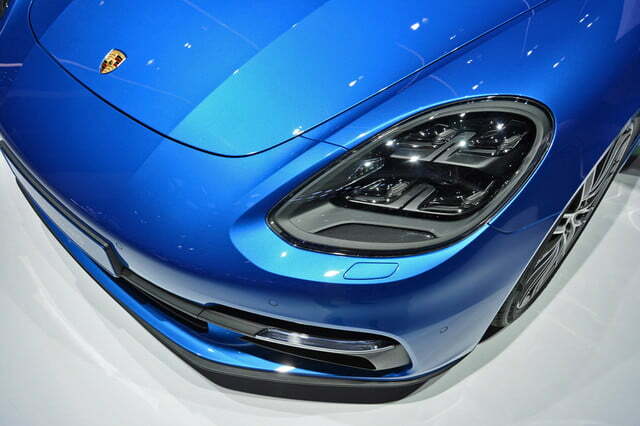 We just got our first look at the car in Paris, and we have just one thing to say. 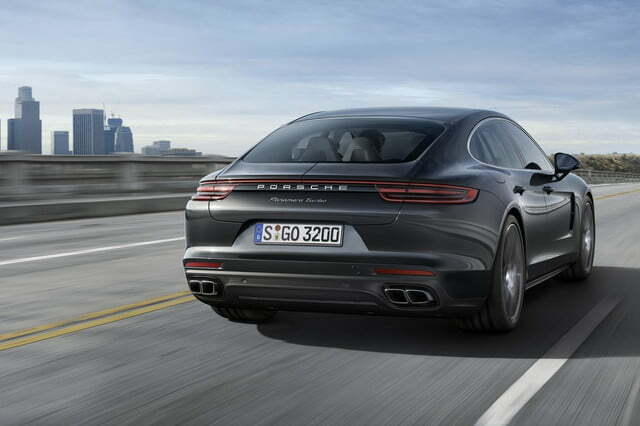 Marginally longer, wider, and taller than before, the 2017 Panamera is equal parts evolutionary and revolutionary. Its front fascia is carried over from the outgoing model with only subtle modifications such as new-look headlights and a re-shaped bumper. 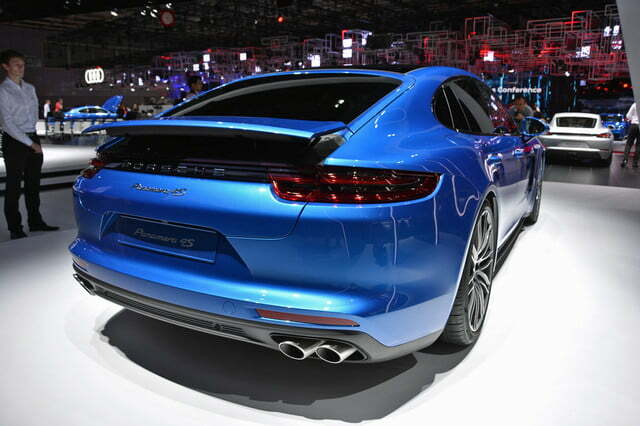 However, designers have finally ditched the original Panamera’s controversial hunched-over rear end in favor of a much sleeker roof line that’s inspired by the 911. 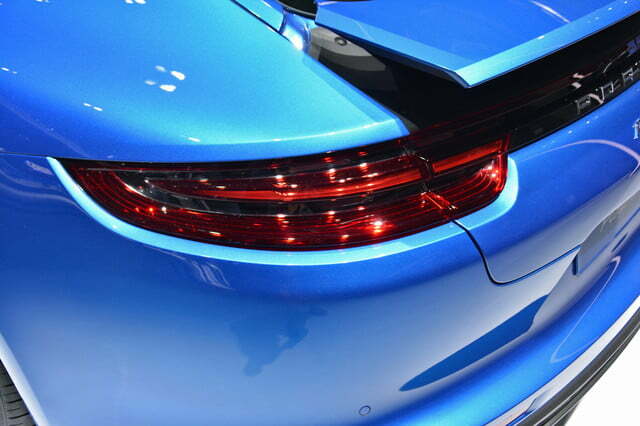 The new look is complemented by smaller tail lamps that are connected by a light bar. 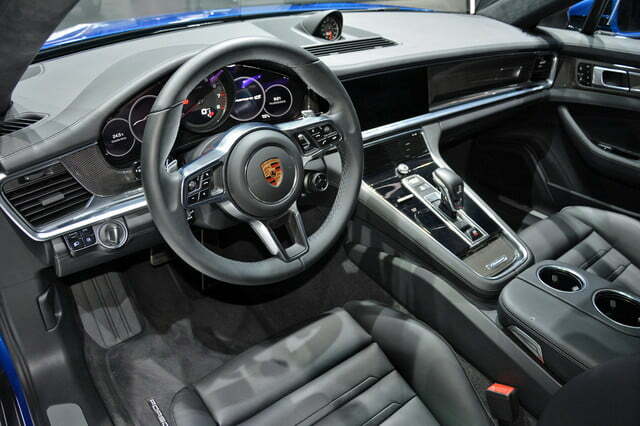 Inside, it’s clear that Porsche asked its designers to get rid of as many buttons as possible. 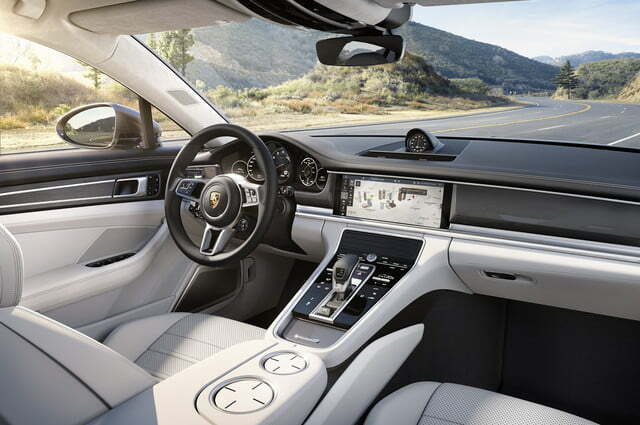 A dash-mounted, 12.3-inch touchscreen runs the infotainment system, and the switchgear commonly found on the center console has been replaced by a futuristic touch-sensitive surface that frames the gear lever. 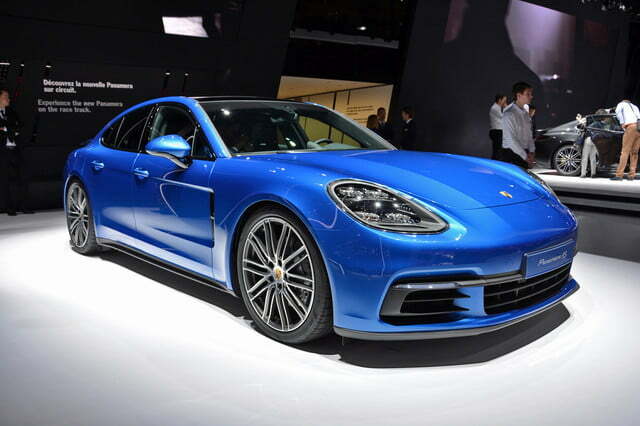 And while the Panamera retains an analog tachometer, the rest of the instrument cluster is made up of a pair of seven-inch touchscreens that can be configured to show a wide range of data. 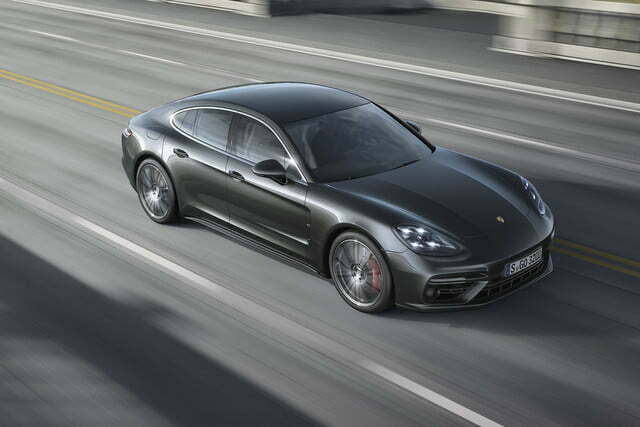 The Panamera Turbo is inaugurating a new twin-turbocharged 4.0-liter v8 engine that makes 550 horsepower at 5,750 rpm and 567 pound-feet of torque between 1,960 and 4,500 rpm. 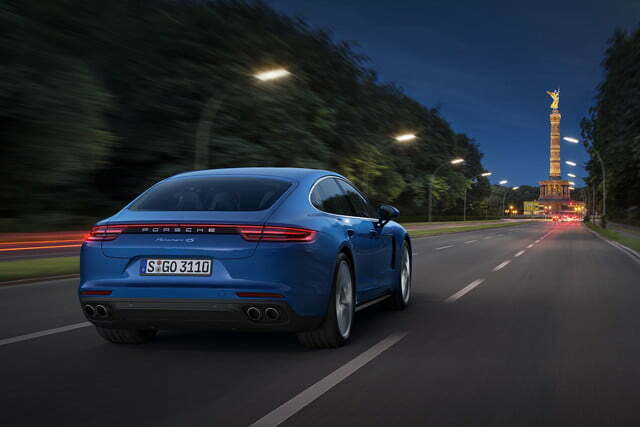 Bolted to an eight-speed automatic transmission, the eight sends the Panamera Turbo from zero to 60 mph in 3.8 seconds, and ordering the Sport Chrono package lowers that time to 3.6 seconds. 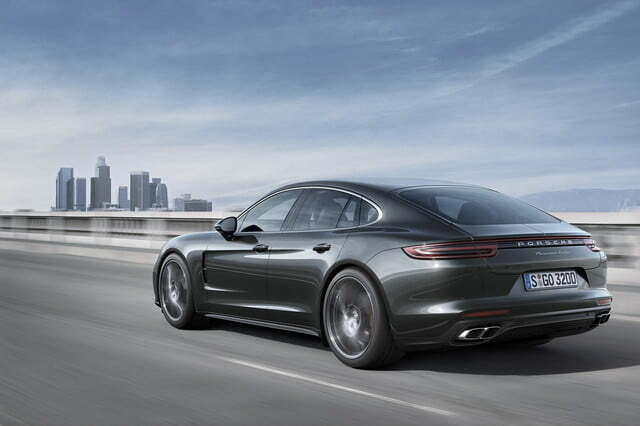 Lesser variants ship with a twin-turbocharged 2.9-liter V6 engine rated at 440 horses and 405 pound-feet of torque. 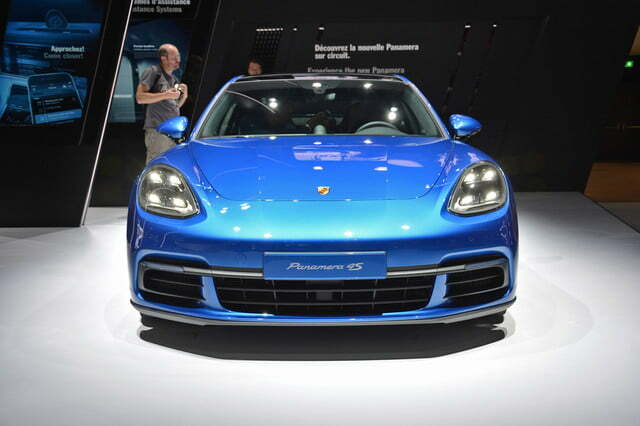 Buyers in Europe will have access to a turbodiesel V8, but Porsche isn’t planning on selling the oil-burning model on our shores. Of course, other engines will be added to the lineup a little later in the production run. 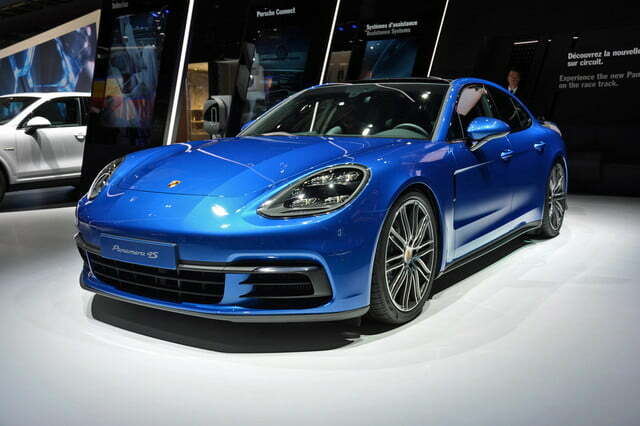 The second-generation Porsche Panamera is on sale now in its home country of Germany with a base price of 113,027 euros, a sum that converts to approximately $125,000. The first deliveries are scheduled for November 5. 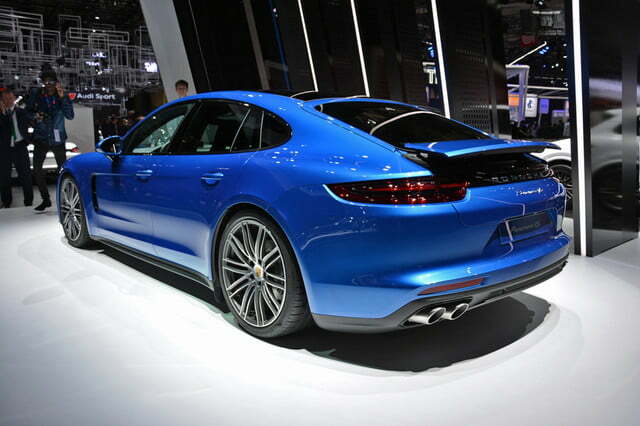 However, Porsche hasn’t released pricing information or availability about the U.S.-spec model. 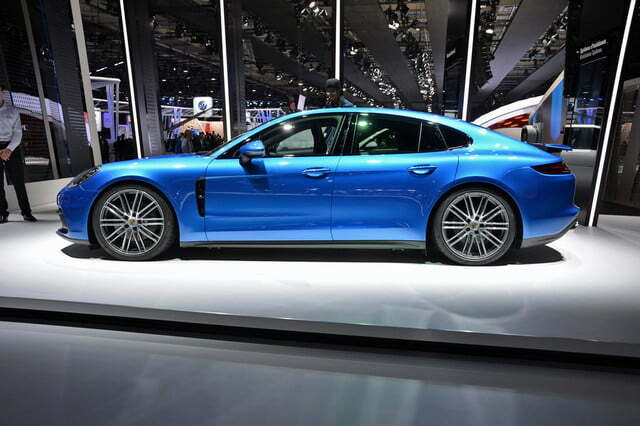 For buyers who need more space, Porsche has confirmed that the new Panamera will spawn a family-friendly station wagon for the first time ever. The wagon will bear more than a passing resemblance to the Sport Turismo concept that debuted at the 2012 Paris Auto Show. 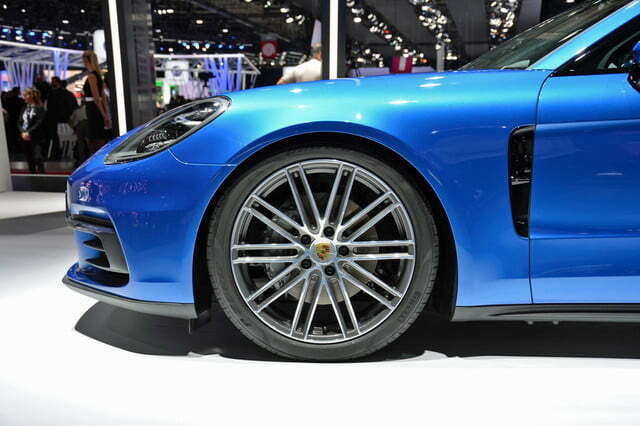 And naysayers be damned, Porsche is firmly committed to selling it in the United States.